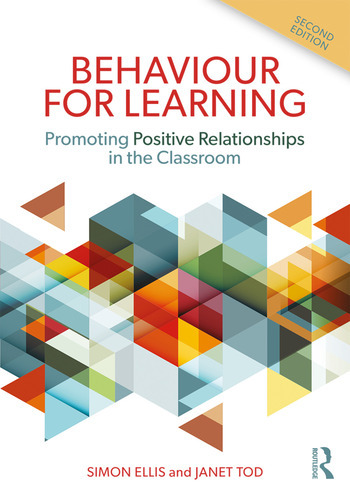 Behaviour for Learning offers teachers a clear conceptual framework for making sense of the many behaviour management strategies on offer, allowing them to make a critical assessment of their appropriateness and effectiveness in the classroom, and assisting them to promote closer links between ‘behaviour’ and ‘learning’. Now in a fully updated second edition, the book focuses on how teachers can provide a safe and secure setting where positive relationships are fostered, placing increased emphasis on learning behaviours that contribute to pupils’ cognitive, social and emotional development. This second edition also includes an updated emphasis on the links between mental health, behaviour and relationships in schools, and reflects Department for Education advice for school staff, changes to the National Curriculum and the new SEND Code of Practice. Through the application of the Behaviour for Learning framework, the book encourages teachers to address the needs of pupils who exhibit behavioural difficulties, whilst still pursuing excellence in teaching and learning for all pupils. It is a compelling and essential read for all trainees and practising teachers, CPD coordinators and other professionals working with children in schools. Simon Ellis is a Senior Lecturer in the Faculty of Education at Canterbury Christ Church University, UK. He currently teaches on the Masters in Education programme and the National Award for SEN Coordination course. He also regularly provides input on Behaviour for Learning on a range of the University’s initial teacher education programmes. Simon has previously worked as a Key Stage 3 National Strategy Behaviour and Attendance consultant and a local authority Behaviour Support Service manager. Janet Tod is Emeritus Professor of Education at Canterbury Christ Church University, UK. She led the Teacher Training Agency (TTA) funded Evidence for Policy and Practice Information (EPPI) review ‘A systematic review of how theories explain learning behaviour in school contexts’ (Powell and Tod 2004) that produced the Behaviour for Learning conceptual framework which is now used in a range of teacher education programmes. She is a qualified speech therapist and a British Psychological Society (BPS) chartered educational and clinical psychologist.